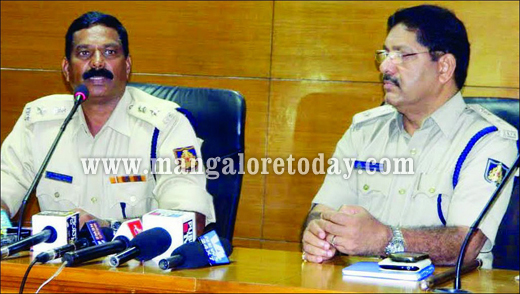 Udupi, Aug 15, 2014: District Superintendent of Police P Rajendra Prasad said that he would introduce innovative policing ideas in the system, in order to make police more people-friendly and simultaneously bridging the gap between police and public. He said he would seek to build bridges to eliminate the false perception towards police. A commandos will be put in place with personnel drawn from District Armed Reserve (DAR), to have a good visibility of police. The team will act as a regulatory body at times of emergency and as a law and order enforcement body during peace. The Hoysala vehicles will be upgraded into PCR model (Police Control Room vehicle), comprising of five police personnel, armed constables, weapons, body protective equipment etc. Besides, it will also act as ’ambulance’ during emergency situations. These vehicles will be 24 hours in service. He added that he had received consent for the proposal from the higher authorities. Asserting that Khaki is the symbol of sacrifice and service, the SP said priority would be given to protect all people in the community. The list of rowdy sheeters will be revived and the least active rowdy sheeter will also be included in the list. Besides MOB (Modus Operandi Bureau) will be revised. The night squads will be put in place to take up constant night beats and ensure safety. The check posts will be well monitored and the suspicious will be booked under CrPC 109 and 110. The complaints by the public over the delay in registering the cases in stations will be addressed. Usually the cases related to missing and vehicle theft is delayed. He said henceforth cent per cent cases registration will be ensured. Emphasizing over the violations of traffic norms, the SP said that awareness would be created as the enforcement may not act as a deterrent. Awareness programmes will be taken up at schools, colleges and for taxi, auto-rickshaw drivers. Standard operation procedure for police will be introduced. He added that police welfare will also be considered and they will be equipped with professional knowledge. The golden hour concept, wherein maximum attempts are made to save the lives of the accident victims will be revived. The SP was of the opinion that there are no Maoist activities witnessed in the district in the recent past. Pointing out at the recent sexual assault cases on students, the SP said the school managements will be sensitized over the responsibilities and measures to be taken up. The new SP was keen on having a well organised and sensitive policing in the District.